Today, open sharing and easy access to DNA sequencing data from clinical samples is limited as a result of the privacy concerns and interoperability difficulties. The lack of collaborative sharing is hindering the progress of genomics research, influencing all genetic disease research from cancer to rare diseases. 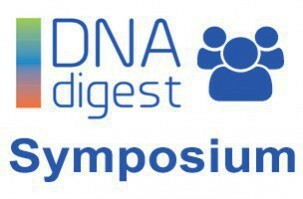 DNAdigest is organizing a collaborative symposium on the topic “Open Science in human genomics research – challenges and inspirations” and kindly invites you to join this day of collaborative brainstorming. Registration starts at 9:30 am after which a short introduction into the topic will be given. We have already prepared the agenda for the day, so that you know what will be happening in the duration of the day. We are happy to welcome everyone with an interest in the topic including software developers, scientists, patients, medical professionals and family. A broad perspective from participants will allow for innovative ideas and interesting discussions. 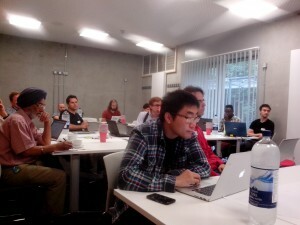 What happens at the DNAdigest Symposium/Workshop? The event will be a combination of short presentations (up to 20 minutes and 5 minutes for Q&A) from invited speakers in the morning session, followed by interactive discussion groups in the form of Open Space conference format. Manuel Corpas who will talk about how he as a “citizen scientist” has crowdfunded and crowdsourced the analysis of his personal genome and how he envisions the future of OpenScience in genomics. Linda Briceno, researcher in Law at HeLex, University of Oxford, will share what she knows about legal and ethical implications regarding Open Science and regarding sharing and collaborations in genomics. Nick Sireau, founder and chairman of FindACure: The Fundamental Diseases Partnership, will talk about how the scientific community and the patient community can engage in collaborations, and how Open Science (sharing of hypotheses, methods and results, throughout the science process) may be either beneficial or challenging in this context. Tim Hubbard who will present how Genomics England is engaging with both patient communities and genomic scientists to collaborate on both data generation and data analysis of the 100,000 genomes project for the public benefit. Julia Wilson will present how the Global Alliance is working to implement standards for data sharing across genomics and health. DNAdigest works to promote and enable easier and more efficient sharing of genomics data for research. We educate and engage the community about the hurdles and dilemmas for data sharing as faced from the perspective of stakeholders in academia, industry and patient communities. As part of our work we are working with our community and supporters to prototype new mechanisms and concepts for data sharing and data access. A new statistical framework for mutation signature discovery out today: journals.plos.org/ploscompbio… . Fantastic work by @tylerfunnell - integrates multiple mutation types into signature discovery with correlated topic models: relevant to cancers with DNA repair defects.